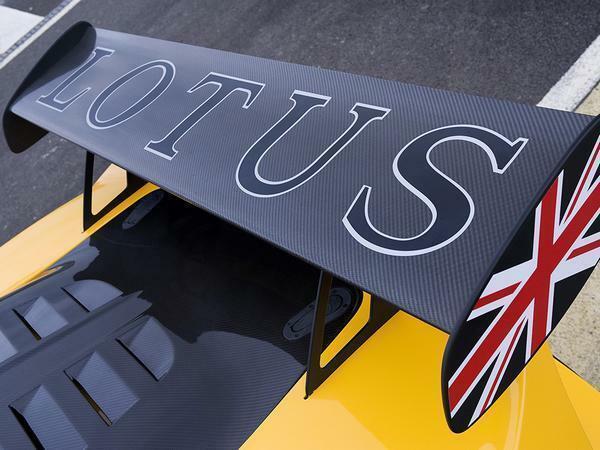 Lotus has tended to replace its CEOs with considerably more frequency than it repaints the factory at Hethel, something borne out by the increasingly faded hue of the mustard yellow colour scheme. The company has never been short on plans - boss-before-last Dany Bahar stood next to concepts promising no fewer than six new models at the 2010 Paris Motor Show - but it has always struggled to find the resource necessary to realise them. Despite numerous slightly-better iterations the most recently introduced core model in the line up remains the Evora, which first appeared in 2010. But now there's a new owner - Chinese giant Geely - a new boss in former JLR executive Phil Popham and, yes, some ambitious plans, although this time backed with what we're promised will be a very significant investment. Work on tidying up the factory, building a new visitor's centre and restoring Colin Chapman's office has already begun, and it was in evidence when I went to visit Popham earlier this week. Although happy to talk about the future, he is also determined not to make the mistake of most of his predecessors by leaving hostages to fortune. "What you'll never get out of me is a sales forecast, because the best you can ever be is correct," Popham says, "we have got ambitious to grow and we will have record years, my ambition is that we will take Lotus volume beyond the previous peaks, but we'll do it in stages." Popham admits that he took some convincing - and several trips to meet Geely's big bosses - to accept the job. He left JLR four years ago, having latterly worked as Global Operations Director, and more recently has been with luxury boat builder Sunseeker. "The brand had huge appeal and a positive legacy, even if the last few years have been fallow in many respects. But I did a lot of due diligence," he says, "I kept asking myself "will this brand work?" 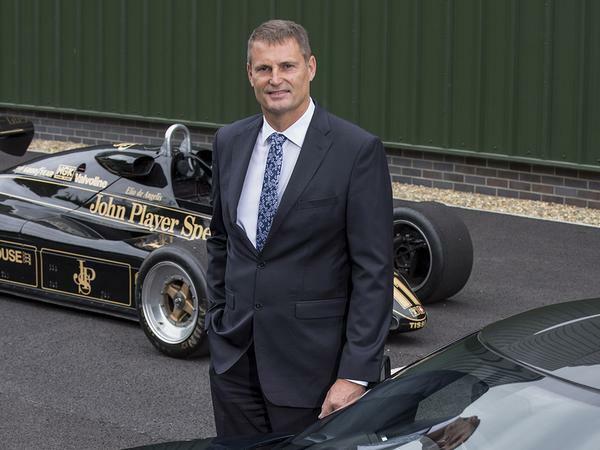 Lotus's position had stabilised under the leadership of last boss Jean-Marc Gales, and the company was even working on plans to build an SUV in conjunction with owner Proton and Chinese outfit Goldstar Heavy Industrial. But day-to-day development spending was tiny. Geely's takeover has reset everything, and Popham says that - in development terms - he has effectively joined a start-up. Company insiders have told us that we'll see an attention-grabbing new model later this year - one being developed under the name Project Omega - and which Popham said he couldn't talk about yet. But beyond that the good news is an absolute commitment that sportscars will remain at the heart of the brand. In the short-term that means some more cars spun from the existing architecture. But Popham confirms there will be entirely fresh models beyond these: "We are investing in an all-new platform for sportscars, that's what we will have to do for the future. Obviously that takes time, we have been in the industry long enough to know that doesn't happen overnight. But we're starting now, in the last few months since Geely took over." Everything will be led from Hethel. Popham says that Lotus will be able to call on resource from elsewhere in the Geely Group - the new design and engineering centre near Coventry will be doing extensive work for the brand. "But the management of any engineering programme, wherever it takes place, is focussed here." 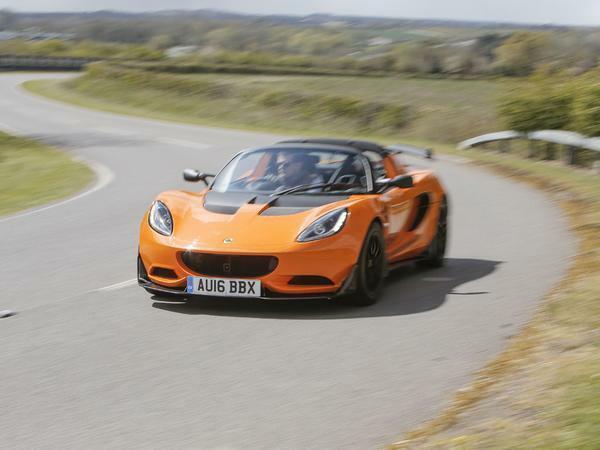 Lotus had just 150 engineering staff at the Geely takeover. That's already up to 250, and is on course to reach nearly 500 by the end of the year. Before the new architecture we're likely to see a switch from Toyota to Volvo-sourced powerplants - the brand's three-cylinder 1.5-litre engine could be a particularly happy fit with a lightweight Lotus - beyond that, electrification will play an increasing role, something the group resources make far easier. But Popham also confirmed that at least some of the next-generation cars will remain conventionally powered; lightweight remains the most important of the brand's core values. "Electrification is on the agenda," he says, "but it's not going to be the only powertrain for us." What about SUVs? Immediately after the Geely takeover journos were told to expect a Lotus crossover to be rushed to market and sat on an existing Volvo architecture, most likely that of the XC40. Popham confirms that definitely won't be happening. "We've got to make sure that whatever platform we use can deliver the DNA of Lotus - the performance, the dynamics and the light weight," he says, "that means that if we were developing another group platform we would make sure at the planning stage that the requirements of a Lotus product on that architecture are met. What we won't do is take an existing platform and just try to make a Lotus out of it." Which sounds pretty categorical; don't expect a Lotus SUV any time soon. 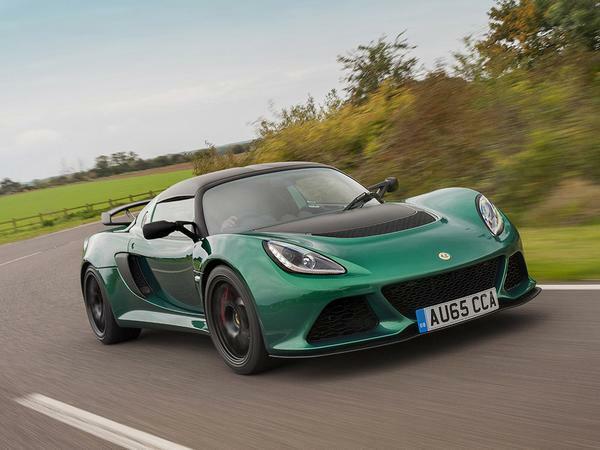 What we can expect to see is cars that are more practical and everyday viable, with Popham admitting he wants to expand Lotus's appeal beyond its current fanbase. "I want to make cars that people can have fun with, but which they can live with on a day-to-day basis," he says, "that means the ergonomics, the practicality, the ingress and egress - all the things that make a car easier to live with." "That's exactly what I'm talking about," Popham says, "I want to get the people who drive a Lotus and a Porsche and say the Lotus is a better experience but the Porsche is the safe choice... the appeal is there but there's a hesitation about the compromises that could come with ownership. I think we've got a huge opportunity very quickly to take those perceived compromises away." Things seem to be going well enough for me to drop the B-bomb, and ask a question that references Dany Bahar's time at the head of the brand. While Popham's predecessor got huge flack for the hubris of standing next to what was meant to be a whole family of future models, wasn't the fundamental analysis behind it - that Lotus had to go into more profitable areas to survive - correct? "We have to engineer the right platforms to create cars with substance," Popham says, carefully, "we'll talk about that as we do it rather than making promises for the future without the engineering intent behind it. But personally, I think the brand has huge potential, I wouldn't define what a ceiling is. We will look at segments based on profitability - if we have to put our prices up to make money then that means we're doing something wrong." But what about the other side of Bahar's analysis: that Lotus had to stop producing its cheapest models? On this, Popham is adamant that affordability is critical, especially as sales start to expand: "we need to appeal to a greater number of people, both in terms of what the products offer but also the price points. Some of our cars, like-for-like, could well be cheaper, but that doesn't necessarily mean that we're going to take the entry point of the range down." One final topic before time is out - motorsport. Lotus was born from racing but has been out of the top flight competition for some time. Is there enough in the kitty to return? "We have to be in motorsport, because it's part of the DNA," Popham says cautiously, "there are a whole host of ways - single race series, GT4 and GT3. At the moment our commitment is no more than that we go back in a responsible way producing products that customers want to see and want to drive." "I don't see us going back into Formula 1 any time soon, if at all," he adds, wryly. While journalists love writing about exciting new projects and daring new directions, there's something reassuring about Popham's clearly prudent approach to his new job. Lotus has had plenty of bosses who were good at sketching out grandiose schemes. Now it has one who seemingly determined to deliver on the basics and actually turn the brand around. I would love to work for this man. Mostly good news, was fairly obvious geely would want to step away from toyota powerplants and look elsewhere. Not sure about the range of engines available at geely though. 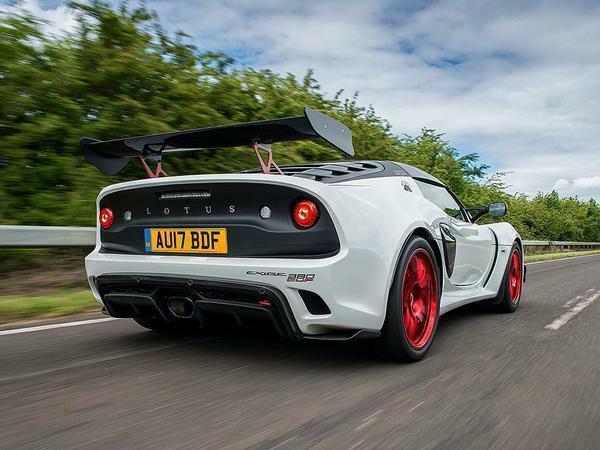 Most people were hopeful of lotus going for a v8 rather than back to 4 cylinder power. If they can keep the price low and competitive though then that might prove to be the best thing. Also with a bit of turbo or sc power the 0-60 time could be competitive. Positive sounds. Seems like the right man for the job. I can confirm that Lotus is a better experience, and while Porsche is a safe choice, my Evora is so much fun and is so well received on the road. 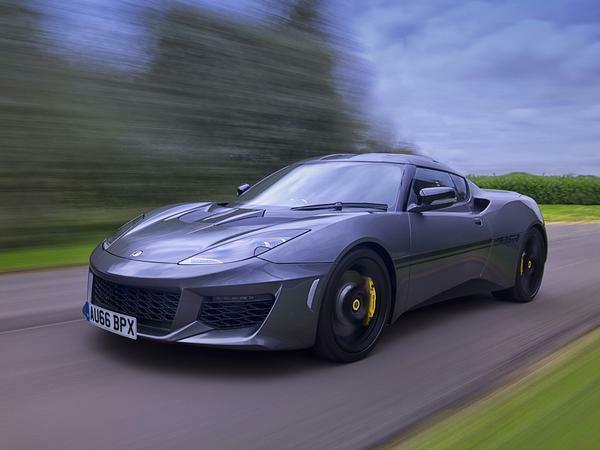 I hope that they keep the cars “friendly”, the compact size a joy of the Evora is actually very relevant and leaves the door open to B road fun at legal speeds. As for anyone thinking of taking the plunge, get down to Lotus Silverstone, great people and my wife commented... “what a great experience”, so they’ve got a lot right already. 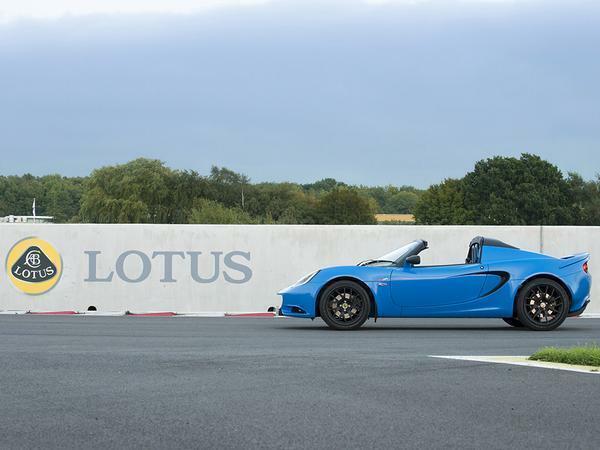 Really encouraged by the approach being advocated at the company in this article, but time will tell if delivery meets expectations, history is not kind to Lotus in this regard. But fixing the existing range, face-lifting the Evora (properly), improving the ownership experience, replacing Toyota pwertrains, ditching the SUV for now (insufficient resource and lack of a credible platform), limiting or reversing ridiculous recent price increases and exploring mild hybrids make sound financial and strategic sense to me. However, outsourcing EV halo to Williams (if true, presumably using their off-the-shelf skateboard), seems at odds with some comments made here and has questionable development benefit to those sat at desks in Hethel. It will no doubt use a huge chunk of cash too. Indeed, spending on buildings, renovations, new sites and third parties does little to put new rubber on the road. One hopes there is sufficient funds underwritten to get across the line. Also niggling me is the fact that new recruits will outnumber the old guard by more than 2:1 by the end of the year, so one would hope there is a strong on-boarding program to imbue newbies with the CABC philosophies, most importantly the designers. Otherwise you simply end up with a Lotus badged JLR or LEVC engineered vehicle. For Chapman, lightweight was a function of his innovative approach, not just a design goal in itself. I would use ‘efficiency’ to more accurately describe Lotus design philosophy. Overall though, as I said I think this is very positive news and I will have fingers and everything else crossed, for the future. Good luck Lotus!